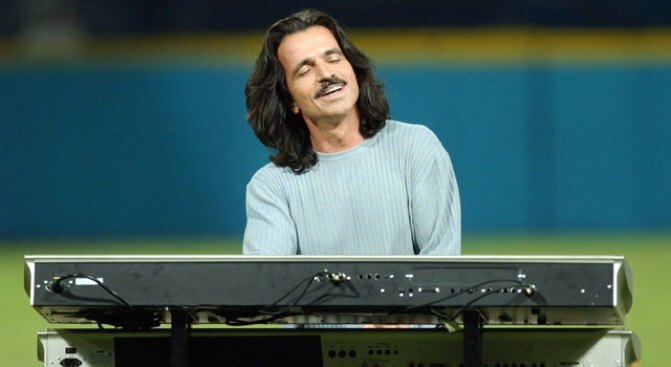 Yanni's new album puts voices to his music. YOU KNOW YOU LIKE YANNI: The captivating sound of Greek god of a musician Yanni comes to the Oracle Arena in Oakland on his Voices tour. You're familiar with the music, now you can hear voices set to the music. The concert starts at 7:30 p.m.
BEST OF THE BAY AREA: "San Francisco Magazine" is throwing a huge bash for 1,600 of the hippest partiers in the City. The crowd will celebrate the best people and reasons why the Bay Area is the best. The event benefits Family House. From 6-11 p.m. at Metreon City View. PETE ESCOVEDO FOR FREE: Downtown San Jose will be popping with Latin jazz beats from Pete Escovedo at Music in the Park. He and his orchestra will play two full sets starting at about 6:45 p.m.